Turn your drill press into a versatile MORTISING MACHINE! 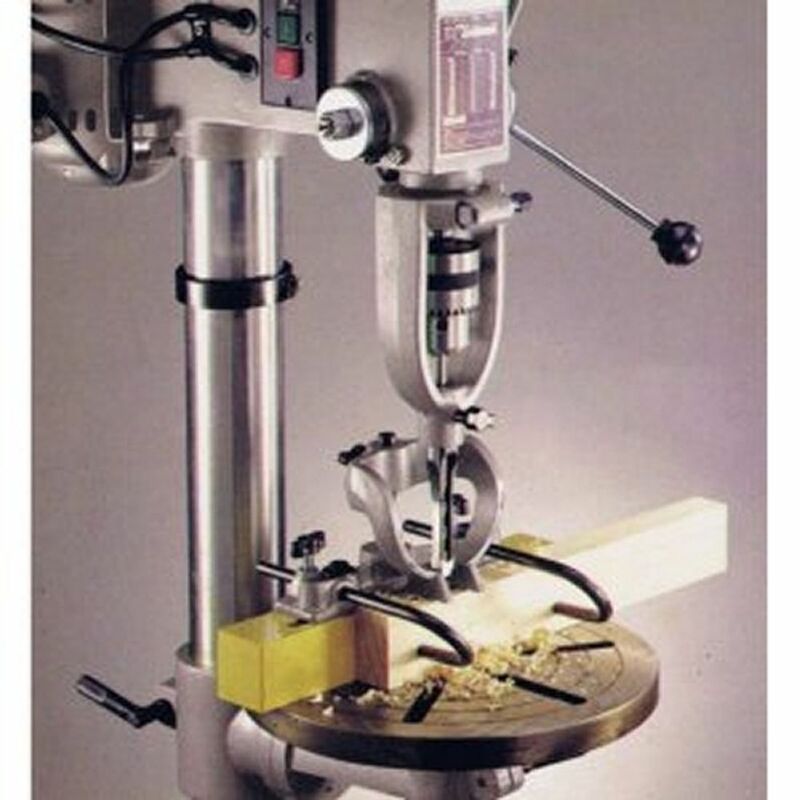 Our Mortising Attachment attaches to your dress press and turns it into a mortising machine. Includes the most popular mortising chisel and bit sets and convenient carrying case along with attachment. 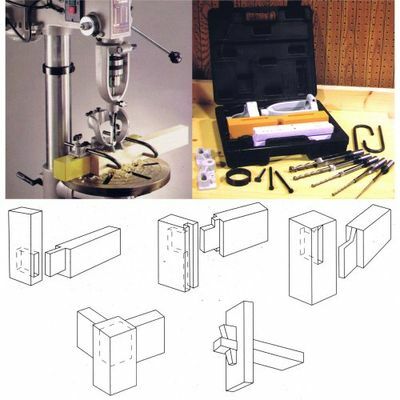 Fits all drill presses with 2-1/2", 2-1/4", 2-1/8", 1-15/16" quills. Sizes: 1/4", 3/8", 1/2", 5/8"
Fits 4 Quill (Collar) sizes 2-1/2", 2-1/4", 2-1/8", 1-15/16"